This Used To Be My Playground, Part 20: Where Did You Shop Last Night? #151. “What’s The Frequency, Kenneth?” — R.E.M. 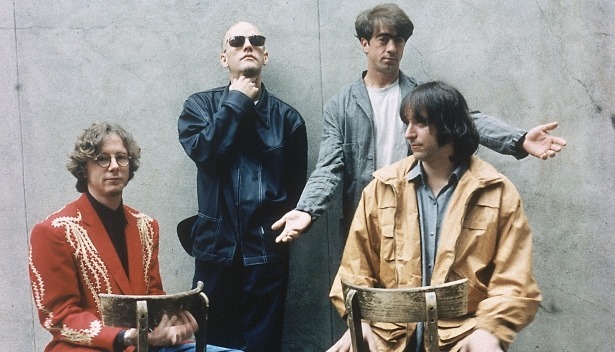 R.E.M had long been promising a full-on “electric rock” album, and when Monster finally arrived at the tail end of September 1994, it received decent reviews, but little love from longtime fans, who seemed to prefer the band’s more inward, introspective material. The material they did in the ‘80s for indie label IRS is what’s cherished by most people really into the band, but I always found it hit-or-miss. The good stuff is really good, but there’s also stuff I found to be on the boring side. So no, I suppose I can’t be counted among the R.E.M. “true believers,” who manage to sit through Fables Of The Reconstruction without being tempted to hit the “skip” button at least once or twice. 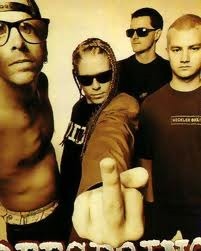 Despite my carping, however, I do believe that they are among the best American bands of the last three decades. Yuba City was a fairly small town, but even fairly small towns can have problems with gang activity. Fortunately, I didn’t exactly move in circles that brought me into contact with real gangs very much. No, the closest thing to a “gang” that occasionally infiltrated by suburban white-bread/coffee shop milieu were…skateboarders, whom I reviled as over-aggressive, defiantly stupid, and extremely hygiene-challenged. (This was the case with Yuba City skaters, mind you. Down in SoCal or wherever, they might be pillars of the community.) When they weren’t paint-huffing or indulging in minor property damage, they were barging into coffee shops in their clown pants, engulfed in a cloud of body odor, and giving people dirty looks between ostentatious cursing and loud spits on the floor. (I don’t have a problem with cursing, but cursing to get attention is lame.) They were not kicked out because, like everyone, they knew someone who worked there.